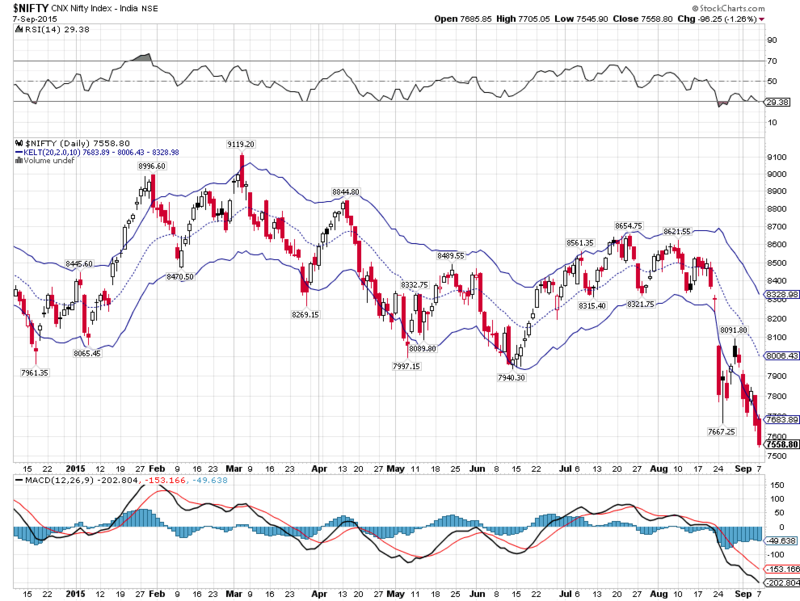 Praveen Pathiyil’s Forecasts: Will this correction end at 7400? Will this correction end at 7400? Bottom Line: We are in last leg of the first correction of our multi month Bull Run. We will not enter Bear trajectory until Nifty breaches and close below 6580 for three consecutive days. I haven't been updating this blog for past few days, the reason was simple, I haven't seen something new in Nifty's chart. I am still holding the view that Nifty has to correct till 7400. 7460 and 7400 are two crucial support levels that I see in Nifty chart. Now the question for the day is: will 7400 hold? b) the time taken to move Nifty out this correction zone would be more than what we could anticipate. Though these are my anticipations based on my experience, I could go wrong, and I have gone wrong many a times. The only person who can answer all our questions is Mr. Market. I am successful because Mr. Market gives us cues and I used to grab it in the right sense. As and when I see any changes in Nifty's chart, will keep you updated. a) Bear's aren't participating (with same enthusiasm as the start) in the downfall for the past three day's indicating Bear's too do not have conviction that the correction would last longer. But this a cue that I get, Mr. Market always like to test the patience of both Bulls and Bears. b) many good fundamentally and technically strong stocks are much cheaper than two month back, it's an opportunity to grab and make much faster money. The trends for the day. Long term Trend: Correction to the ongoing Bull Run. As long as we hold on to 6580 we will not turn negative on the long term view of Bull that we hold. Intermediate term Trend: Trending Down, now the trend is in place. Short term Trend: Trending Down. The trend will not change until we close above 8240, which means 8240 would act as SL for those who are short in Nifty. Tomorrow will update Bank Nifty, if there isn't any major change in Nifty's Chart. Are we still in the correction phase? Nifty up 130 points, is correction over?